In Blend, the Objects and Timeline panel, normally in the lower left corner of the user interface, shows the logical tree of all the objects currently shown on your artboard. 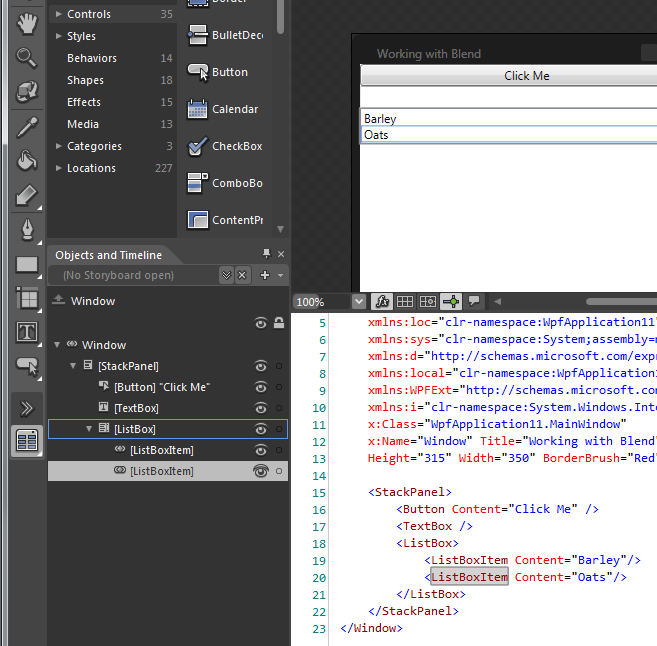 You can click on individual elements on the Objects and Timeline panel and the corresponding object on the artboard will be selected, as well as the matching XAML tag in the XAML editor. You can temporarily hide objects and their child objects by clicking on the eyeball icon. The object and all of its children will disappear from the artboard. 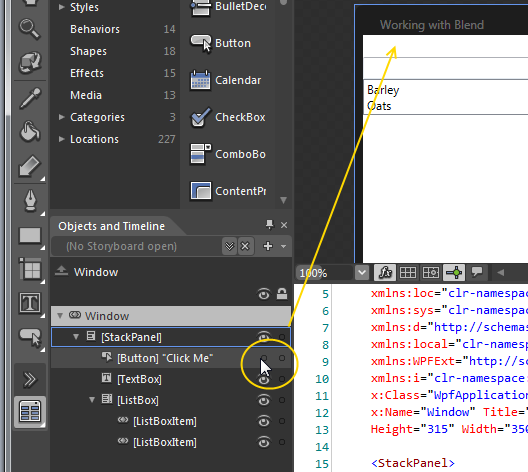 The object will still appear at runtime–hiding a control in this manner only hides it in the context of the editor in Blend.